Square Cedar Log Coffee Table. 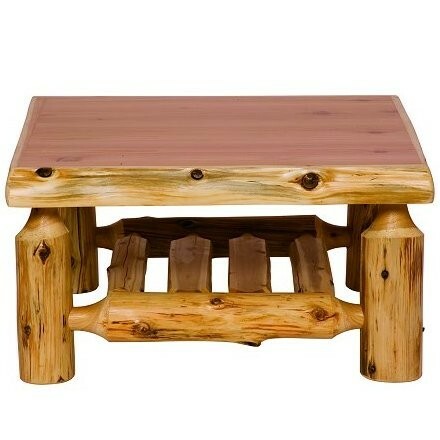 This square cedar log coffee table will give you plenty of entertaining space for your rustic cabin or lodge style living room or den. Square Cedar Log Coffee Table. 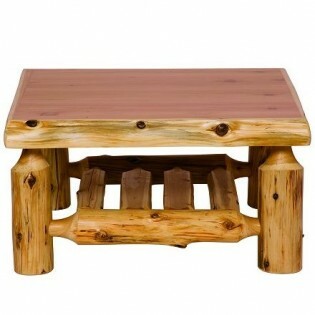 This square cedar log coffee table will give you plenty of entertaining space for your rustic cabin or lodge style living room or den. It features an open shelf on the bottom and is hand crafted from hand peeled white cedar logs which give it a natural rustic look. It is protected with a clear coat of catalyzed lacquer.